Every year in December I start the process of collating all the handbags I’ve had my eye on, just incase they happen to fall into a post-Christmas sale. 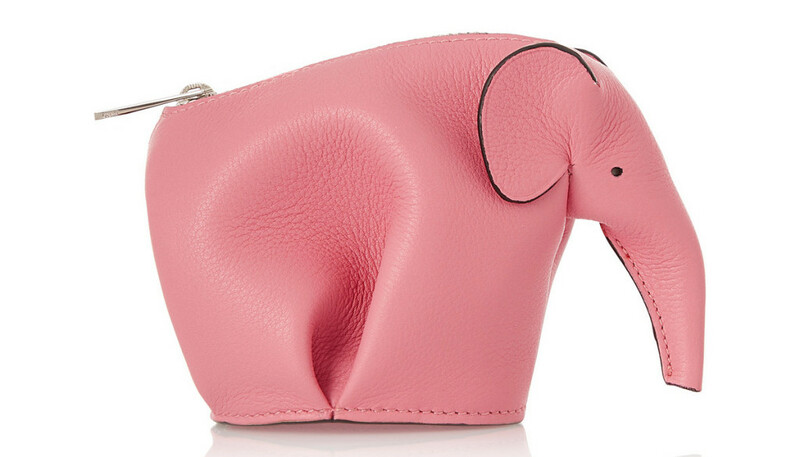 This explains how I came across Loewe’s Elephant Leather Wallet and nicknamed her Nellie. I am a massive elephant lover so there’s no real surprise that this caught my eye, it’s just so god-darn cute. She fits perfectly into the hand and could hold the essentials for a night out; gum, lippy and cash. The zip fastening running across the top even creates the tail. It’s killing me with cuteness right now, whereas the price is just killing me at £250. Although, this could be the closest I ever get to owning an elephant… Maybe it’s worth it.